Let's dispel the myths of hypnotherapy! You can never be made to do something which you do not wish to do! In our everyday lives we often find ourselves in a 'trance' like state. How many times have you driven down the motorway only to find that you have gone further than you thought you had and do not remember passing a certain place? When we drive we do not consciously think about changing gears or depressing the clutch pedal as we have already learned to do so - in other words, we have been 'programmed' to do so and it becomes an automatic response mechanism. 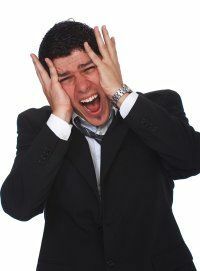 This trance like state happens whilst in deep relaxation in hypnosis and we are able to 're-programme' the subconscious mind whilst the active, conscious mind 'switches off' thus allowing us to change our patterns of problematic behaviour.Sometimes, one session is enough, but a free initial telephone consultation with you is required in order to assess your specific needs and suitable for Hypnotherapy.All consultations and treatments are conducted in a strictly professional and confidential manner and you will find me friendly and easy to talk to. I work with business clients and offer Stress Busting Days which allow their employees to relax totally and renew their inner strengths for the job in hand. Stress is the biggest killer in society today and is one of the major contributors to heart attacks, strokes and indeed, cancer. Learning how to relax is extremely important to our overall well-being. I will teach employees how to relax using Progressive Muscle Relaxation techniques which they will then be able to use as part of their everyday life. Please contact me for a quotation. 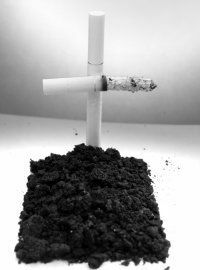 We all know that smoking is a killer and that can lead to heart attacks, cancer and related illnesses such as emphysema. There are many different ways of giving up smoking such as patches, drugs, willpower etc. However, hypnotherapy has proved to be one of the most effective ways of quitting smoking and my success rates are high. Apart from health issues, the cost of smoking is very high:if you smoke 20 cigarettes a day, which is roughly £5.00 per day, in five years you will have smoked away £9,100! And of course, it goes without saying that if your habit is more than 20 per day this increases rapidly! Just think of the holidays you could have had with that money! Smoking Cessation is a one-off session but I am also available for 'top up' sessions if and when required. Quit Smoking! Call me today! I see many clients who have tried numerous yo-yo diets and who have maybe succeeded in losing weight for a while, only for it to pile back on. Re-programming the mind in order to look at food in a totally different way - how we eat, what portion size etc. is the key to weight loss. For those people who wish to lose weight over a period of time re-programming works very well. 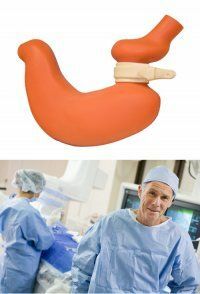 I practice Gastric Band Hypnotherapy - which effectively takes the patient through a Gastric Band operation under hypnosis. This is extremely powerful as a treatment and is used for people who have a lot more weight to lose. In order to have this sort of hypnotherapy, I need to have a counselling session with my client in order to ascertain that they realise what will be happening and their commitment to it.